Mindshare strategy is one of the most important and difficult ideologies in the channel industry. Take a look at this whitepaper for a closer look at improving the relationship you have with partners…with your mind. 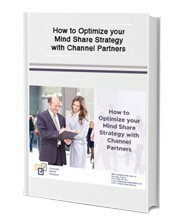 Take a look through this informative and fun eBook to learn “How to Optimize your MindShare Strategy with Channel Partners” by filling out the form.